順次編集中です。Yoshy is trying to add her data. I Found Ms. Kohara on “Nikkei TRENDY”! 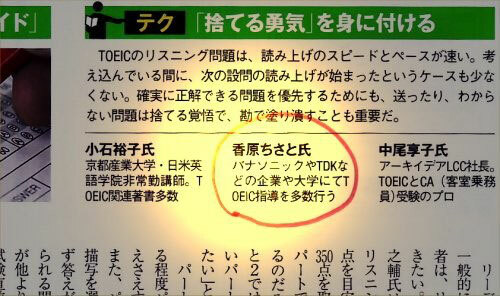 The name of Ms. Kohara appears on “Nikkei TRENDY- April, 2015”, one of tip-top economic magazines! LL students, it’s very honored that her name is printed on this magazine! For copyright reasons, her article on it couldn’t be introduced here, but let me introduce this happy news! 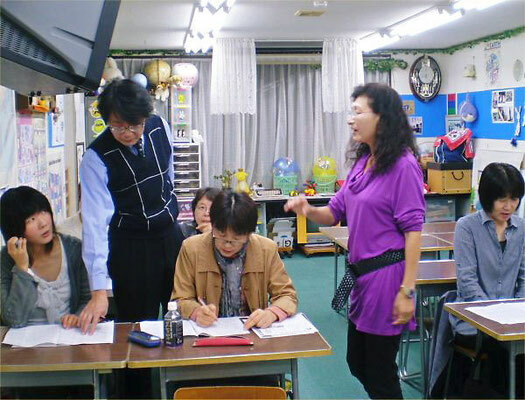 Though she is much younger than Yoshy, she is one of the most respected English teachers of mine. She made one of teaching materials: GC-courses LL students are using now. 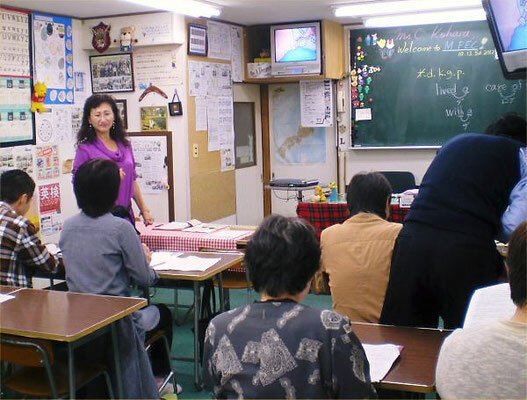 And she is one of Advisers of M-PEC; she visited LL Shihoya Arai School from Tokyo to be a special instructor at the YEA (Yoshy’s Monthly English Activity) a few times. Ms. Chisato Kohara’s new book was set afloat! Congratulations! In the early afternoon of Saturday, March 22nd, just after chatting with Doc. Masui who is one of M-PEC Advisers; his wife pointed a plant-pot of “*Amur adonis” at the doorway. When I came back home, R said to me quietly, “There is a brown-eared bulbul.”… It was looking for prey *at the edge of LL garden where a little snow still left. Much more to my delight, Ms. Kohara’s new book had arrived here. 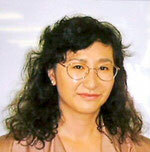 She is also one of M-PEC Advisers. 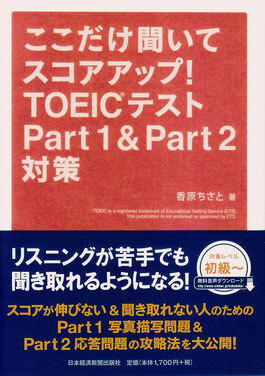 It is easy for the adults whose level of English proficiency is 4th of Eiken and below to understand the test of TOEIC. 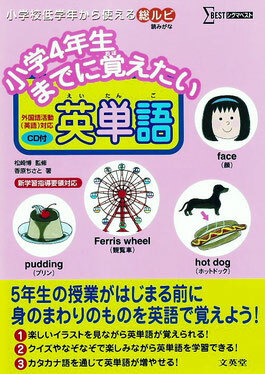 Let me introduce her book at YEA (Yoshy’s English Activity) of M-PEC on Saturday, April 12th. Well, I will try to use a few listening questions from it. 香原ちさと先生は、遠藤の先生であり長年の友人です。M-PECの顧問でもご尽力下さり、時々、特別講座を、この教室で開催して下さいます。Ms. 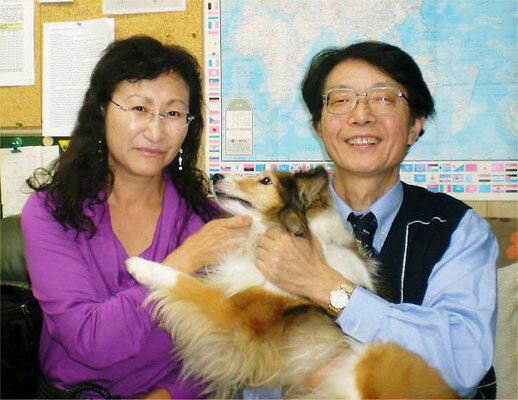 Chisato Kohara is one of Yoshy’s best teachers, friends and Advisors of M-PEC. 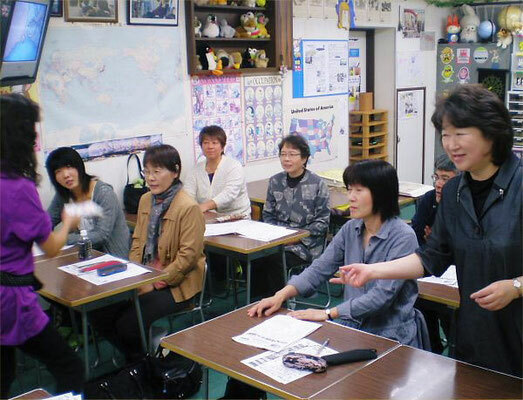 As you can see the picture, she has sometimes had the special lecture in Yoshy’s English Activities of M-PEC since 2007. CD付きで、身近な単語が正しい英語で楽しく覚えられるように工夫がいっぱいされています。This book she wrote has a CD and lots of fully worked-out methods for merrily learning familiar words around us. 手に取ってご覧になりたい方は、志保屋書店か、レッスン前後に遠藤に申し出て下さい。Those who would like to come to the book and read it should ask a clerk of Shihoya Bookstore or Yoshy in LL English School before or after LL lessons. ご注文は、直接、志保屋書店でお求めになられるか、古封筒などに「小4英単語」と表書きの上、950円 (本体価格)＋税：同封して遠藤へ…品切れの場合は、2，3日後にお渡しできます。ご注文をお待ち申し上げます。You can buy it at Shihoya Bookstore or would you mind giving Yoshy the used envelope with 950円 (before tax price) on which “Sho-4 Words” is written? In case of running out of stock, you’d be able to get it in a couple of days. We’re looking forward to your orders. Thank you! 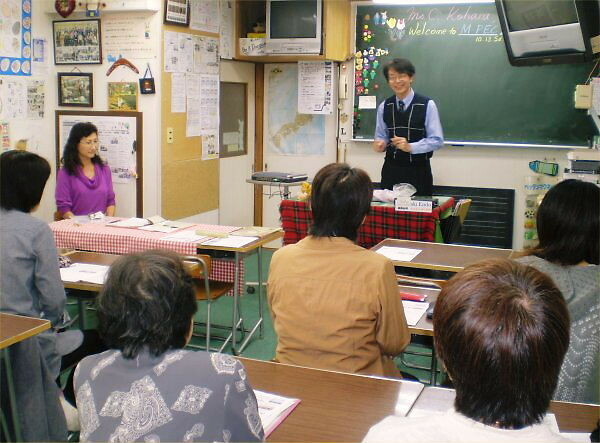 On schedule, Saturday, October 13, 2012, from 6:00 pm to 7:30 at LL Shihoya Arai School, we could learn “the knack of speaking better pronunciation”. It has suddenly got very cold in the morning and evening in a couple of days; two members were absent. 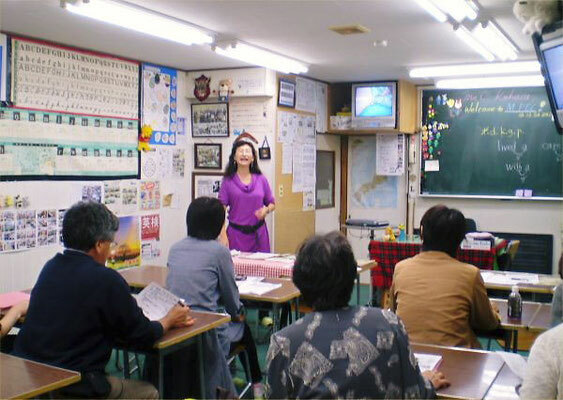 10 attended this special lecture. In case of “a consonant + a consonant in a word”, we’d better not pronounce the latter one. In case of “a consonant + vowel between two words”, the original two sounds become one. If we could find “a mass of meaning”, we could say English with good rhythm. … We learned lots of knacks. We tried to speak “part of lines of Hane-Uma” each by each in front of Ms. Kohara; who carefully checked our pronunciations. At the end of her teaching, we enjoyed a few games; one was “Bomb-game”. Ninety minutes quickly passed. Thanks a lot! They say “An empty sack can’t stand upright.” But, “Even a full sack can’t stand upright.” … bulling、mental disorder、conflict between neighbors and countries, etc. … We hear these on TV every day. She is also one of such experts of living. Today’s theme of YEA is “A knack of speaking English in Hane-Uma.” But, I want you to get “her strong way of living and thoughtful mind or compassion” in one hour and half. Let Yoshy introduce one of M-PEC Advisers, Ms. Kohara. Her profile is written at the bottom. 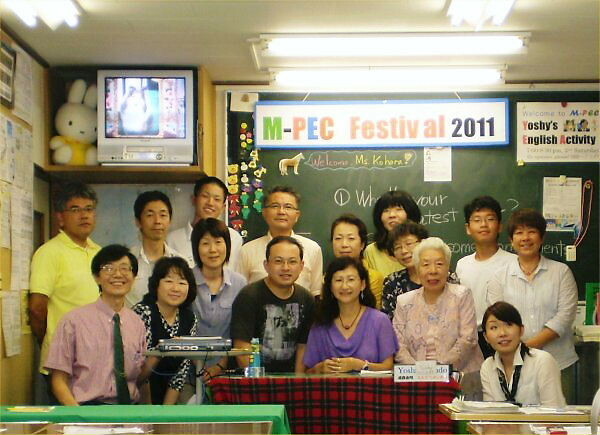 Congratulations on the 5th anniversary of M-PEC. Thank you very much for your warmheartedly welcoming me the other day. Your fruit of practicing English Drama will appear soon, which I am looking forward to. The most important thing is your voice modulation. After reading Japanese script very carefully, try to find the place: “Yes! This is the place that is important, isn’t it?” And try to pronounce the vowel “longer” than usual. (You don’t have to say aloud. Why don’t you pronounce it around twice longer than your usual way?) Your line must be more beautiful, I believe. I will give you another knock of advice, a super easy one; which is “to say your lines a bit lower than your usual saying Japanese”. They can hear your English very cool if you do so! Try this way, too.